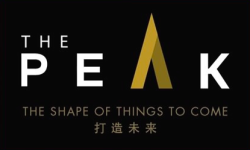 The Peak Retail Mall consist of 5 levels of retail space, and will be managed by Capitaland. The Peak Cambodia an oasis of luxury in the clouds. A whole new level of living comes into being as the choicest picks of residences, shops, restaurants, offices and the prestigious Shangri-La Hotel come together in an integrated mixed-use development like no other. Sharing the same desired address as the Shangri-La Hotel is a mark of distinction, and all its classy restaurants, bars and ballrooms are at your disposal. The One and Only in Cambodia. 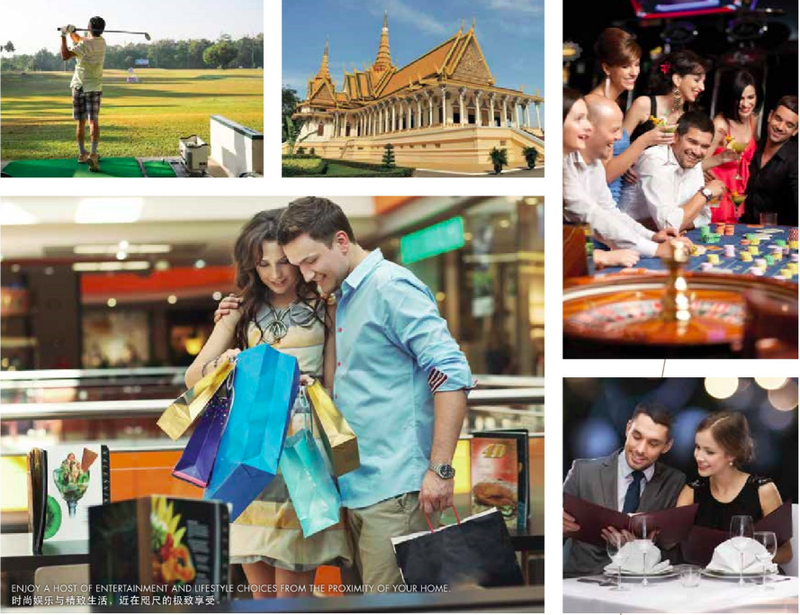 The Peak Shoppes Commercial Retail Mall is strategically located in the heart of Phnom Penh, along Mekong River. It is near to Naga World Casino, AEON Mall, Australia & Russia Embassy and etc. Being the tallest development in Phnom Penh, units will be able to enjoy panoramic city skyline of Phnom Penh and superb view of Mekong River. Buyer's Eligibiilty Foreigners are eligible to purchase up to 70% of the developments. Cambodians eligible. 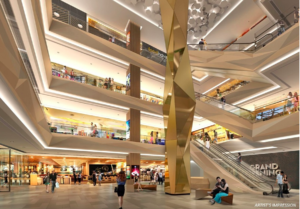 The Peak Cambodia Retail Mall will be managed by CapitaLand; Officially Appointed to oversee the management of this Iconic Integrated Development, The Peak, in Phnom Penh, Cambodia. 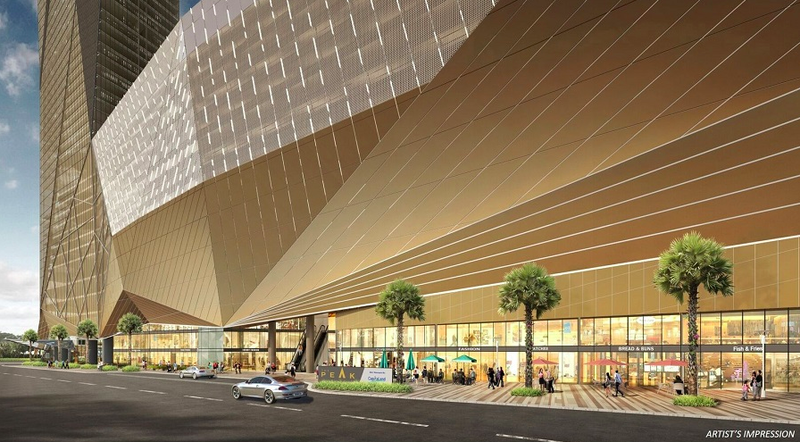 An upcoming high-end integrated development, The Peak is integrated with Phnom Penh’s first Shangri-La Hotel with 300 guest rooms, and 2 Luxury Residential Towers sitting atop The Peak Cambodia Retail Mall. 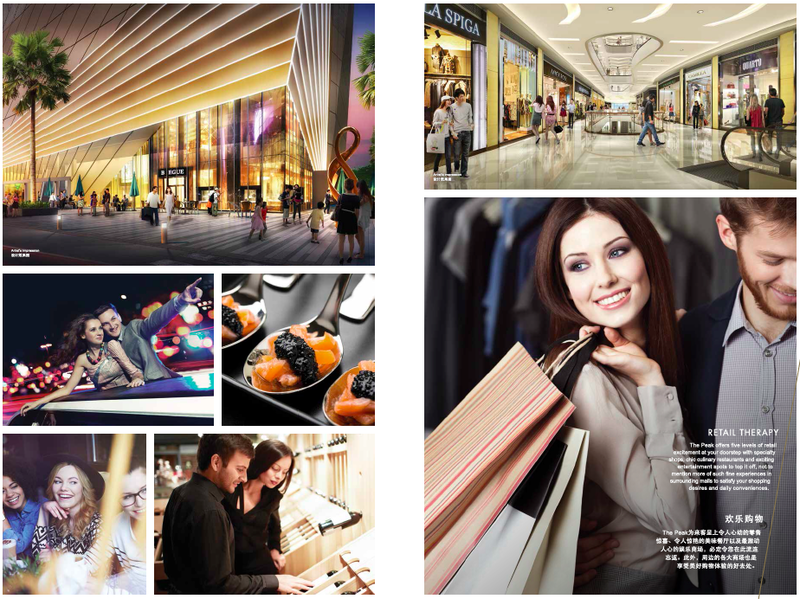 The Peak Shoppes / Retail Mall will be 100% managed by Singapore Capitaland, with attractive rental guaranteed package.